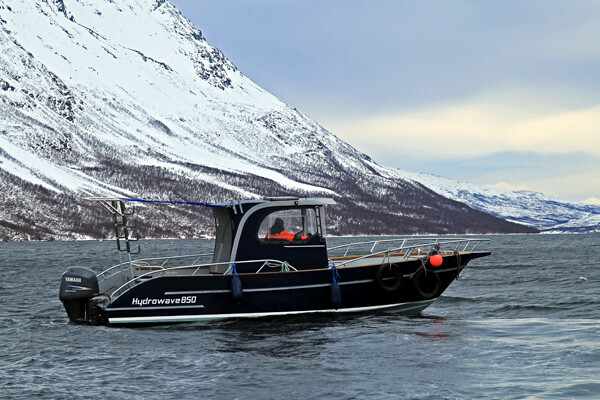 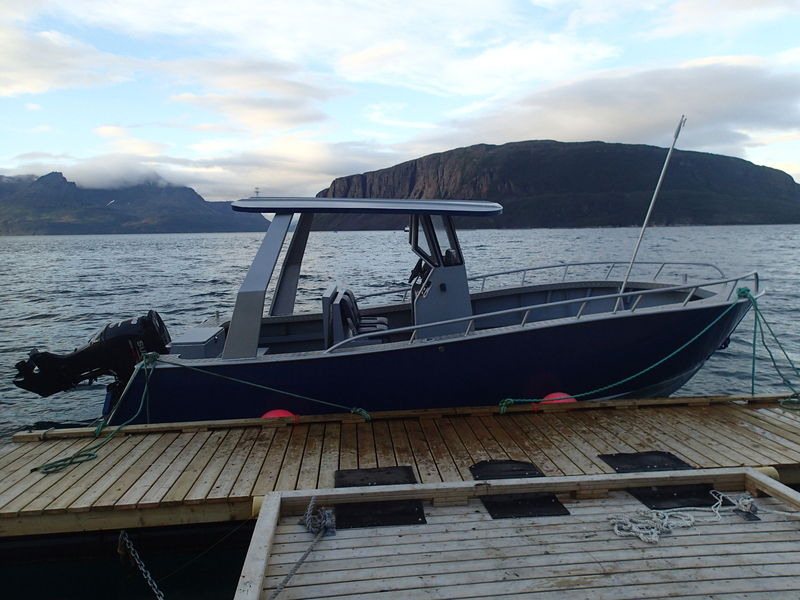 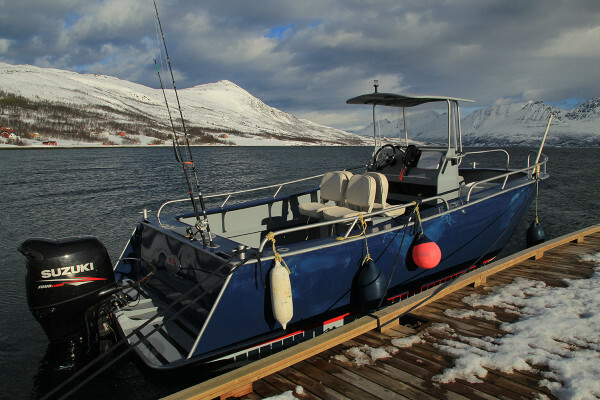 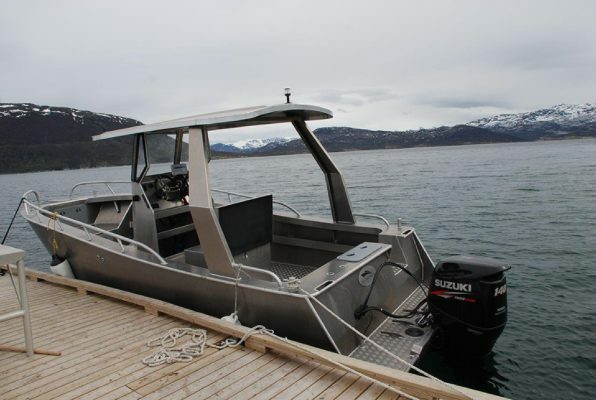 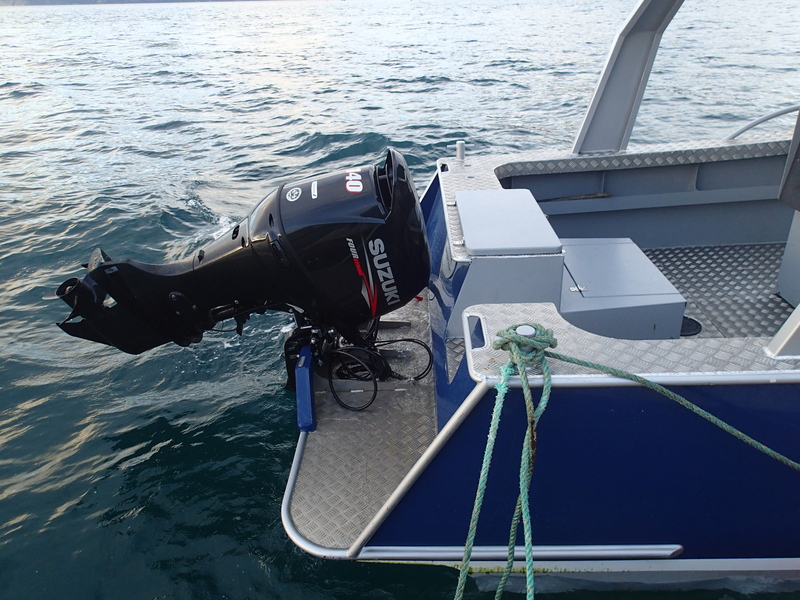 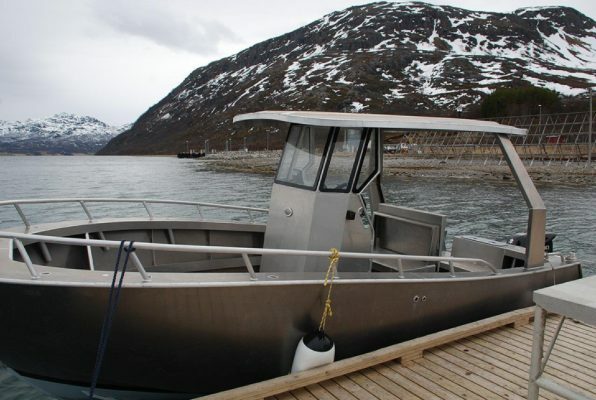 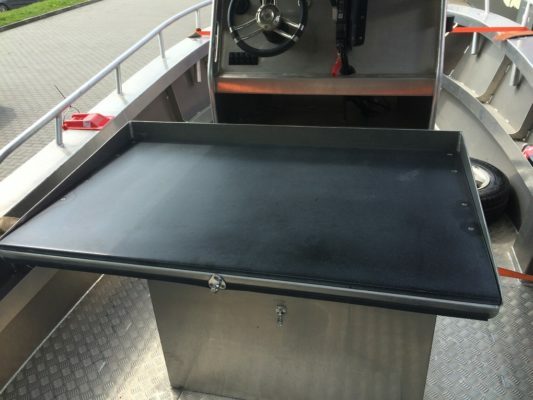 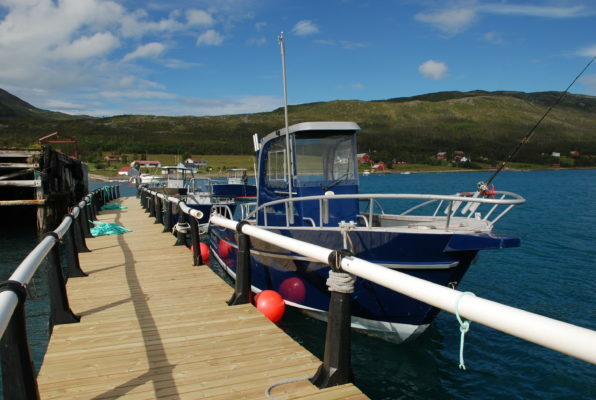 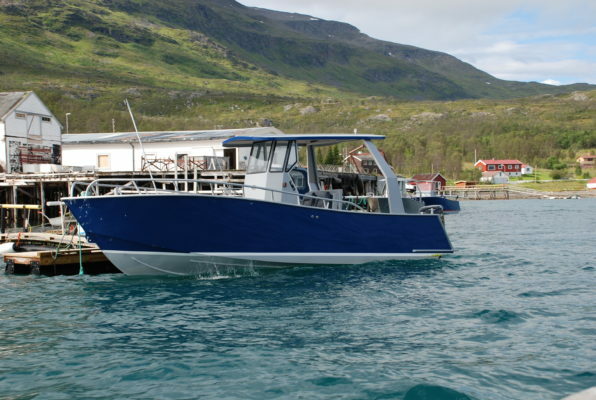 Our fleet of modern, aluminum boats provides a comfortable and safe environment for transport or fishing. 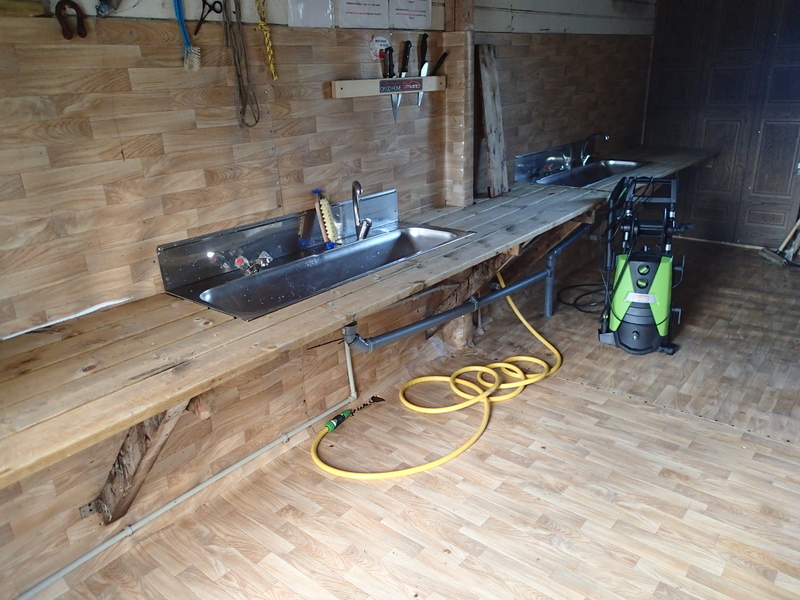 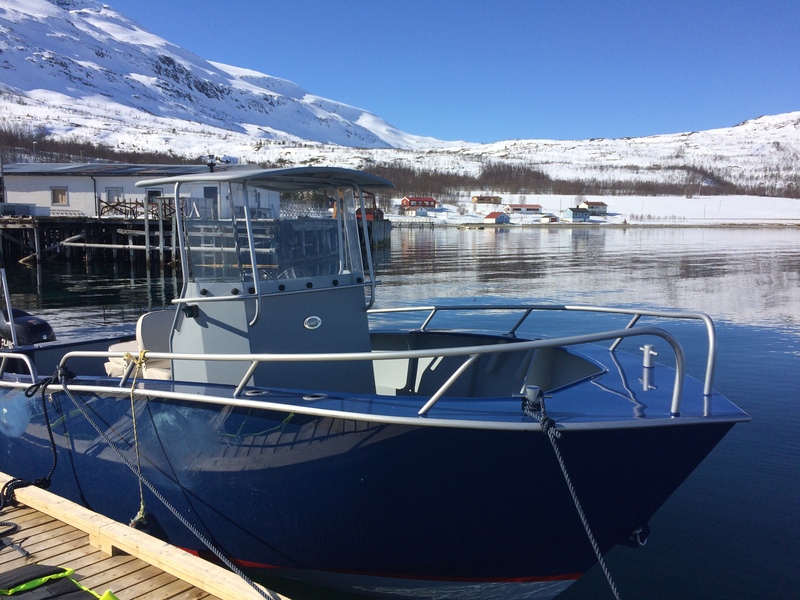 One of our boats even has a cabin – a great rarity in this region – to provide protection in winter, early spring and late autumn. 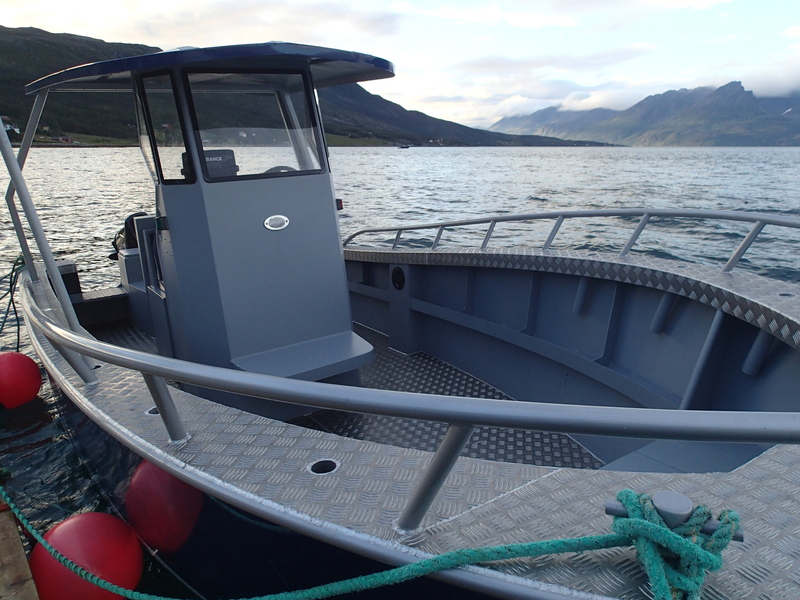 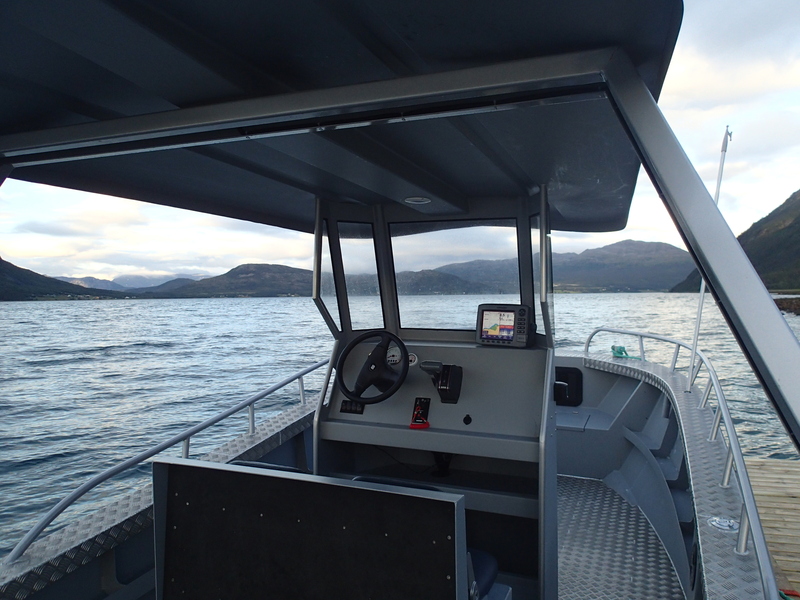 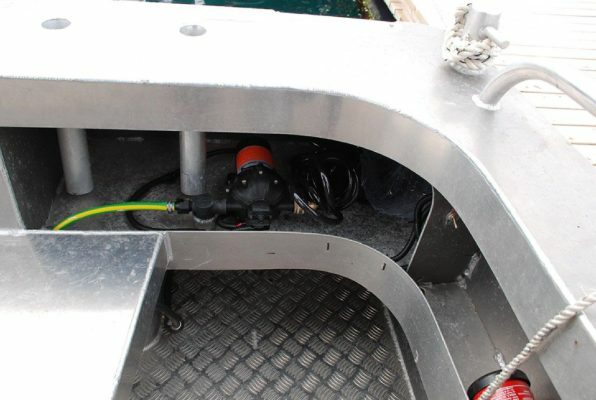 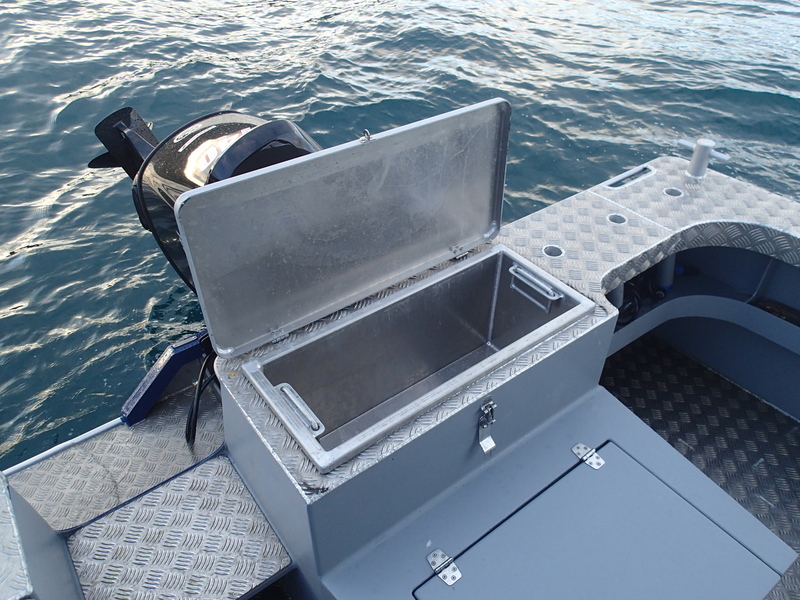 The boats are all new, professionally designed and tested in the most rigorous of conditions, passing all regulations and safety standards. 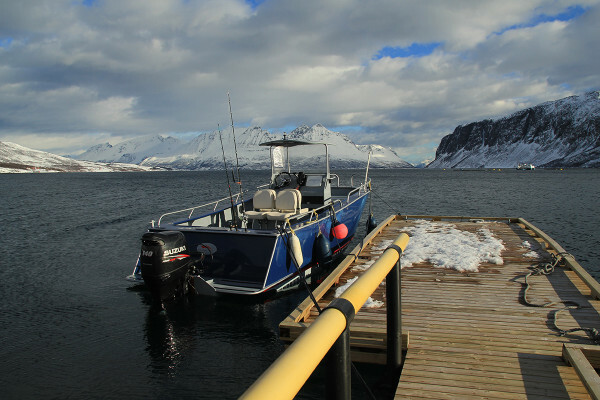 Equipment: Yamaha 150 HP, Lowrance Elite 7 HDI plotter, sonar, GPS, hand-guff, 12V socket, standard sea-map of Uløya surroundings. 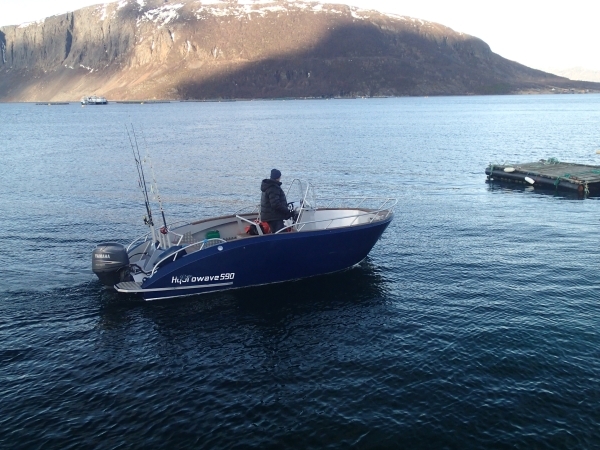 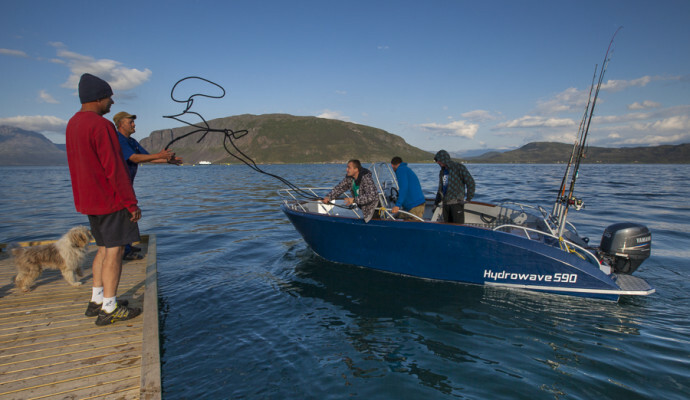 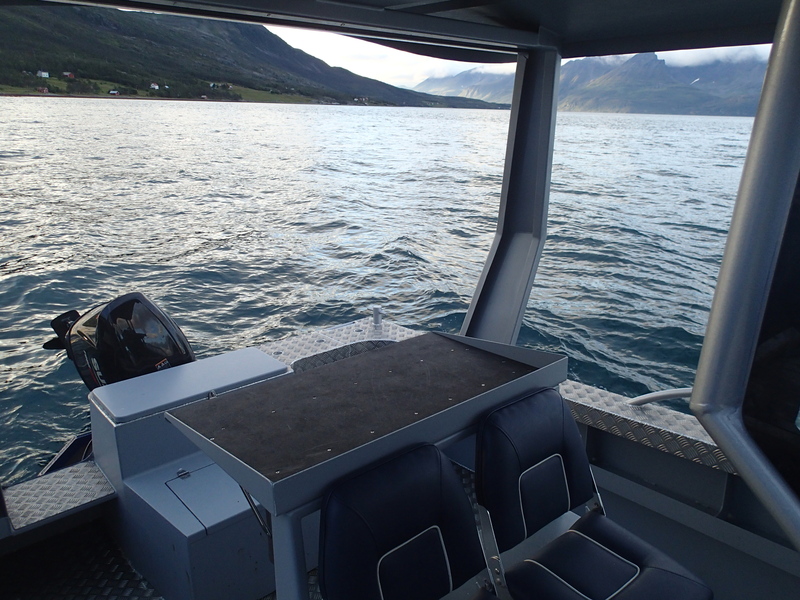 Equipment: Suzuki 140 HP, Lowrance LCX 104C plotter, sonar, GPS, hand-guff, standard sea-map of Uløya surroundings. 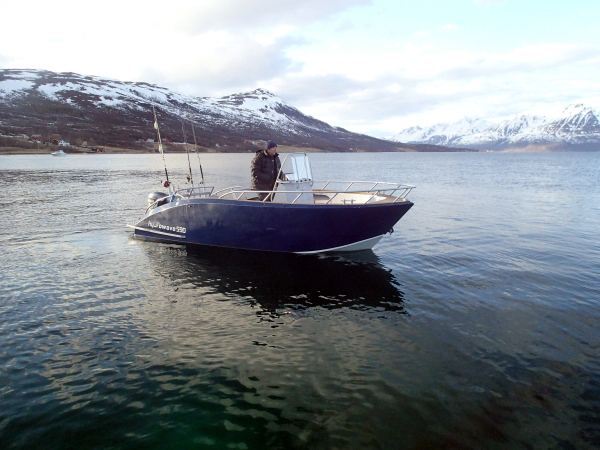 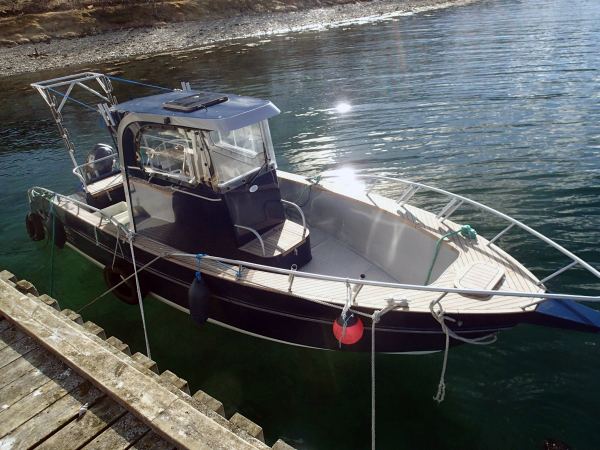 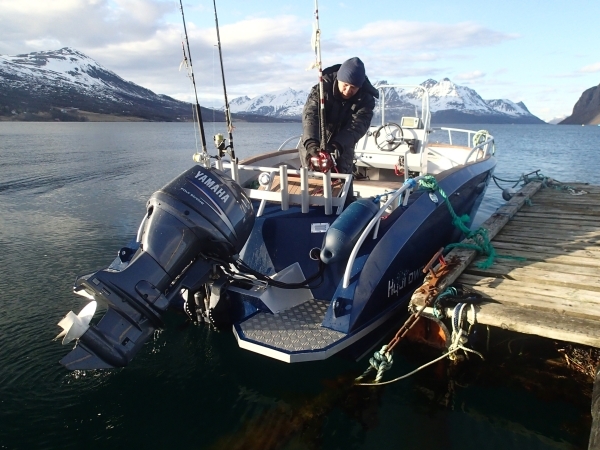 Equipment: Yamaha 60 HP, Lowrance Elite 7 HDI plotter, sonar, GPS, hand-guff, 12V socket, standard sea-map of Uløya surroundings. 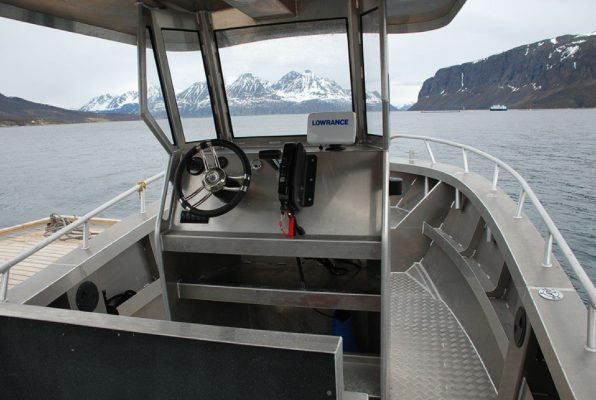 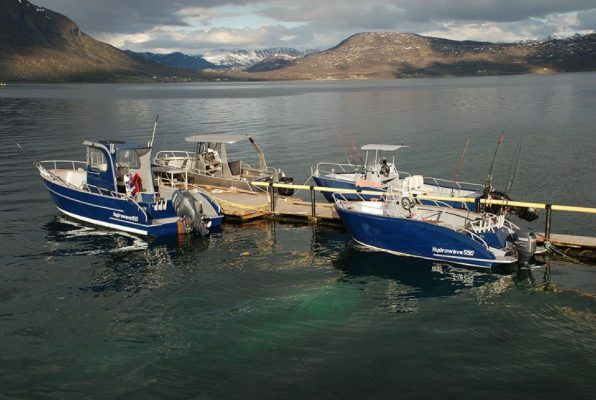 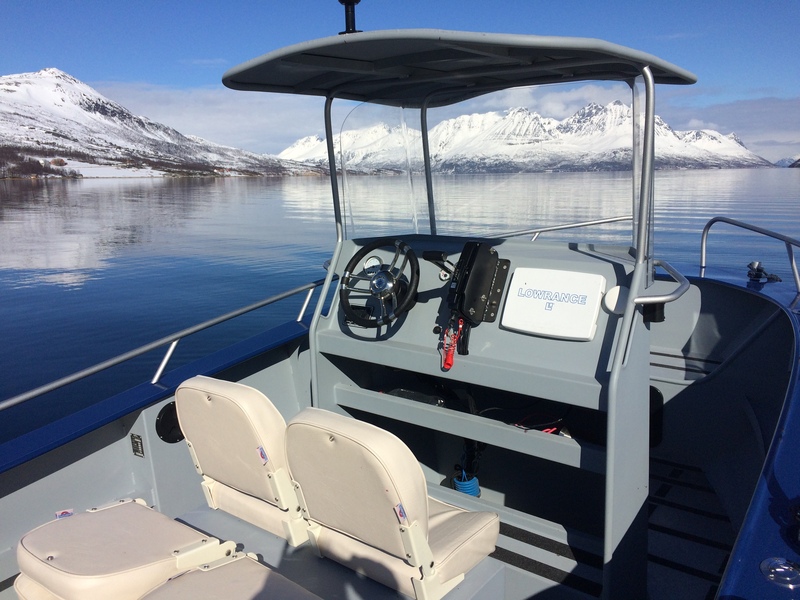 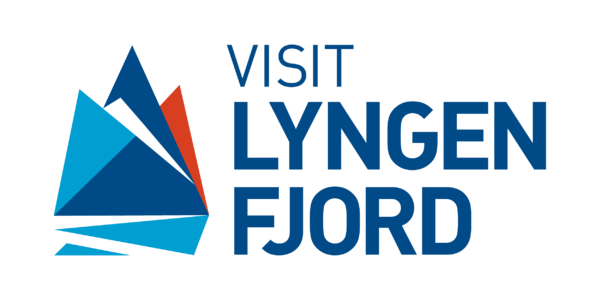 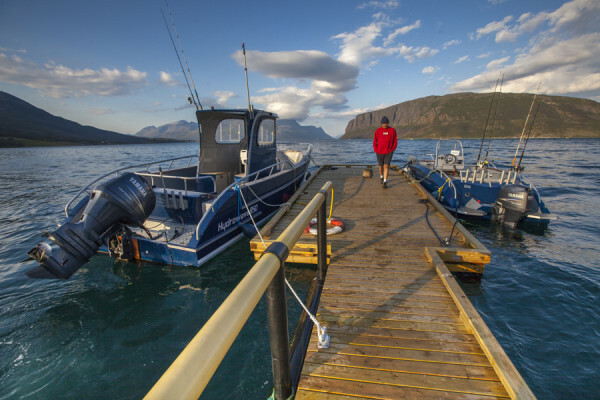 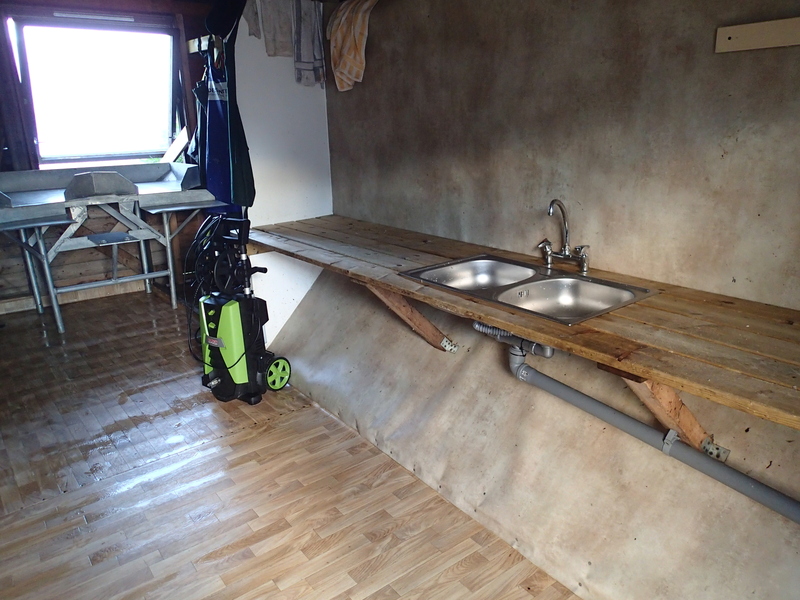 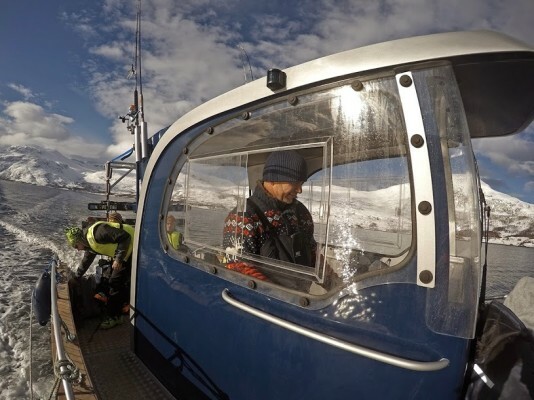 Equipment: Suzuki 140 HP, Lowrance Elite Ti (touch screen) plotter, sonar, GPS, folding skinning table, water pump with a hose, hand-guff, standard sea-map of Uløya surroundings. 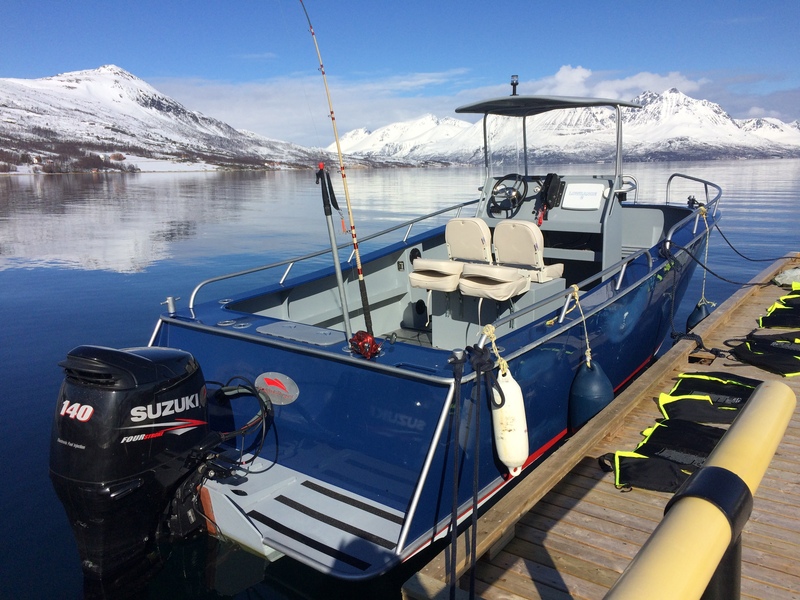 Equipment: Suzuki 140 HP, Lowrance Elite 7 HDI plotter, sonar, GPS, folding skinning table, water pump with a hose, hand-guff, standard sea-map of Uløya surroundings.